Aaaargh me hearties! 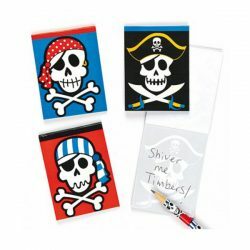 Make sure your little pirates have one of these pirate notebooks stashed in their party bag to record all their pirate adventures! Assorted designs, chosen at random. 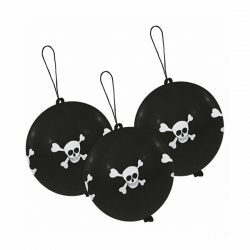 Pack of 3 punch ball balloons, decorated with a skull and cross bones. 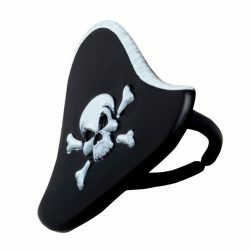 A great party bag filler for a pirate party. 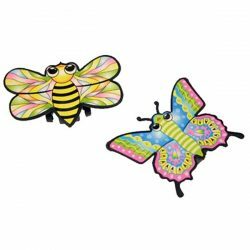 These pull back butterflies are great, like a toy car, you simply pull them back and watch them shoot off. 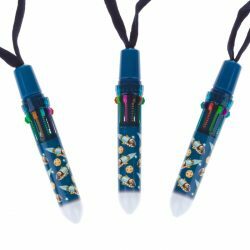 A fun party bag filler. Assorted designs, supplied at random. 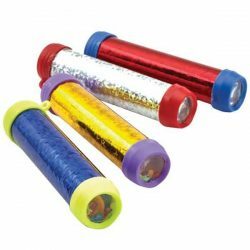 This are always a firm party bag favourite and kids love playing with them for hours on end. Much more fun than a regular balloon. 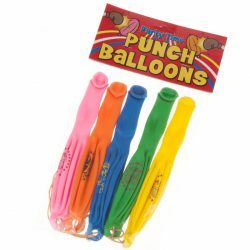 Pack of 5 assorted colour punch ball balloons. 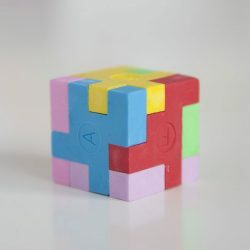 Fun and functional, colourful cube puzzle erasers the perfect distraction when you're stuck on your maths homework! 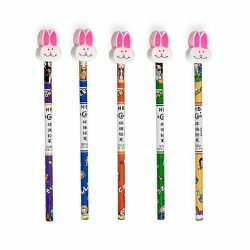 Cute little rabbit eraser pencils, made from recycled newspapers. Make sure one of these hops into your party bags! 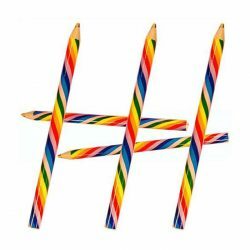 Bright rainbow coloured chunky wooden pencils, with multicoloured leads. 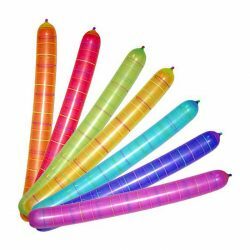 Always a party bag classic, inflate the balloons with the straw included, then let them go screeching a soaring into the sky like a rocket. You can use them over and over again. 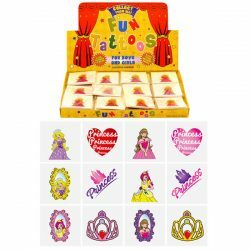 Each pack contains 2 balloons of assorted colours. 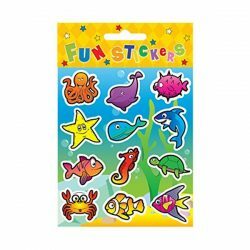 A set of colourful, fun sealife stickers, perfect for party bags and crafts. Watch out cowboy - there's a new sheriff in town! 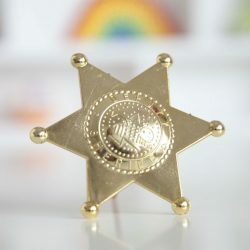 Little boys will love discovering one of these shiny sheriff badges in their party bag. One badge supplied gold or silver coloured. Dress up a party pirate outfit with these scary pirate skull and crossbones button badges or give out as party bag goodies for budding pirates. 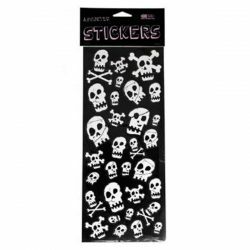 Each pack contains 4 skull and crossbones button badges. 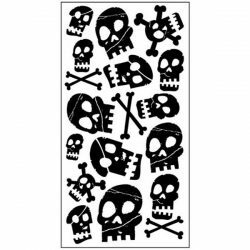 A sheet of scary pirate skull and crossbones stickers, a must-have accessory for every would-be pirate! Simply apply with a damp cloth or sponge and the pirate rampage can begin. Each tattoo can last for several days and can be easily removed. 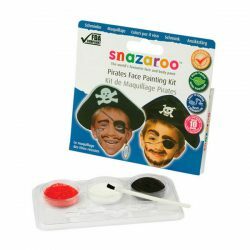 The Pirate theme face painting kit makes a great gift or party activity. Paints up to 10 faces. Each pack contains 3 x 2ml colours and a brush.Specially Formulated to be friendly to the most delicate skin and are fragrance free. 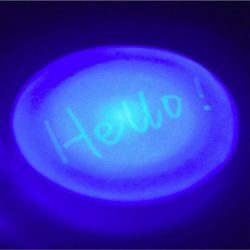 Used using only approved ingredients fully compliant with EU and FDA toy and cosmetic regulations, and are non toxic. 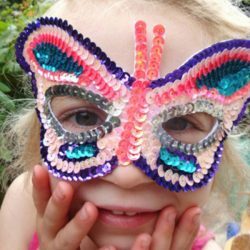 Face paints are as easy to remove asthey are to put on. Simply remove with soap and warm water or wipe off with a tissue, no need for scrubbing or harsh removers. 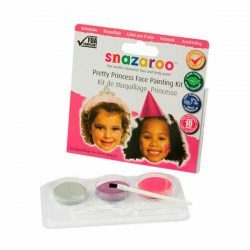 The Pretty Princess theme face painting kit makes a great gift or party activity. Paints up to 10 faces. Each pack contains 3 x 2ml colours and a brush.Specially Formulated to be friendly to the most delicate skin and are fragrance free. 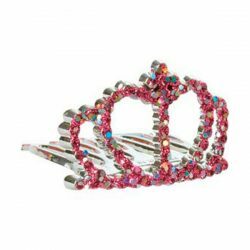 Used using only approved ingredients fully compliant with EU and FDA toy and cosmetic regulations, and are non toxic. Face paints are as easy to remove asthey are to put on. Simply remove with soap and warm water or wipe off with a tissue, no need for scrubbing or harsh removers. 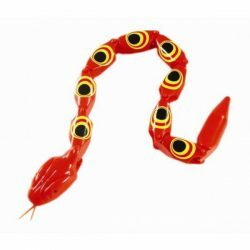 We remember playing with these mesmerising snakes for hours when we were children, watching them slither back and forward. They're sure to be a hit with the next generation, a retro classic. One snake supplied, assorted colours. 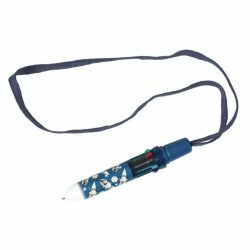 Supercool spaceboy pen, that has 10 - yes 10 different colours! 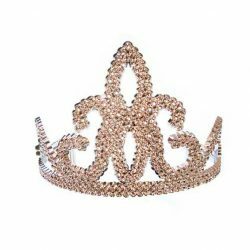 And if that's not enough, it comes with a string so you can wear it round your neck. No space ranger should be without one of these! Much easier than using lemon juice and a hairdryer! 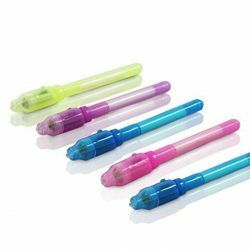 These cool spy pens make writing secret messages a breeze with the built in UV light in the lid. 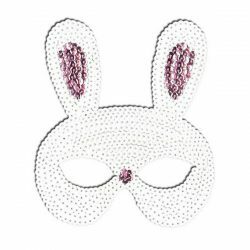 Perfect for spy, superhero or mystery parties and great stocking fillers for all ages. Assorted colours, one supplied at random.